As I walked through the streets of the Tenderloin district on Wednesday, this verse rang in my ear. I’ve come to realize that I am a typical American. I like nice things. I have been taught that I need a college education so that I can have a good job and live comfortably. I’ve been taught that I need nice things. I figure out exactly how to spend my pay check before its even in my account and if I don’t have enough to buy the coolest new electronic or the cutest clothes I will go get my credit card. But I tithe so it’s fine right? Wednesday night we had chapel with some of the residents that live in the TL. during worship God compelled me to remember His goodness. I started to write down reasons why He is good. As I wrote down different things about His character I realized that the only reason why I live this life is because God gave it to me. This life belongs to Him and because it belongs to Him I am okay with not being comfortable as long as I am not empty. Since being home I have realized how none of those things bring joy. They may bring temporary happiness but the clothes I wear, the phone I have, even the places I am able to go because of my job, don’t bring lasting joy. I spent an entire week reaching out to broken people but those empty streets have shown me how empty I am. How broken I am. In a lot of ways I have felt hopeless since being home. I have felt like I need to do so much more. But I have also had moments that I have felt so alive. These moments have come when I’ve set aside time to seek my Daddy. He is the only thing that satisfies me eternally. He’s the only one that makes me whole. 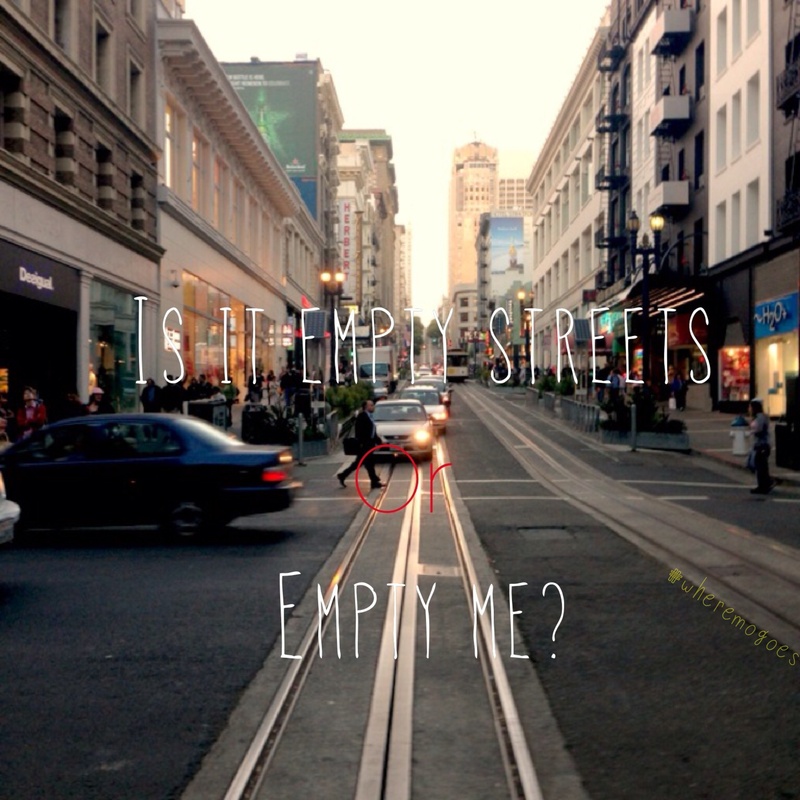 I’m not empty because He is in me.